Spyridon has recently completed PSLE 2013, with the help of Model Method Tuition in Mathematics. He received an A Star in Maths, which is the top grade. Since joining, he has found Model Method Tuition to be helpful, inspiring and friendly. Spyridon was able to achieve 95% and above, and even full marks under Model Method’s instruction. During Spyridon’s 5th year at ACS Jr., he was really struggling with the subject. The tutoring from Model Method is a significant influence in empowering Spyridon to accomplish the A Star grade he received for his Maths in PSLE 2013. 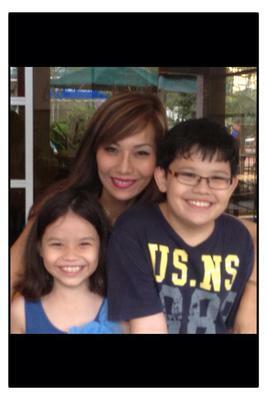 Model Method’s Mr Zach Chee will soon be tutoring my younger daughter, Irene. I am very confident that she will also find his tutorials practical and effective. I wholeheartedly recommend his service. Thank you once again, Mr Zach Chee.